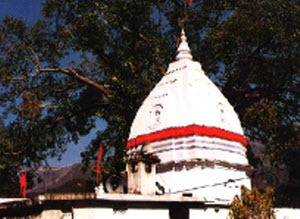 The famous Santala Devi Temple is situated around 15 kms from the Dehradun city. The temple is a place of great devotion and worhip for people visiting the place from all over. After reaching Jaitunwala, its 2 kms drive to Punjabiwala and further 2 kms trekking to the temple place. It is believed that Santla Devi, alongwith her brother, on finding they would not be able to face the Mughal Army, gave their weapons and start to pray when a light flickered and they both transformed into stone images.